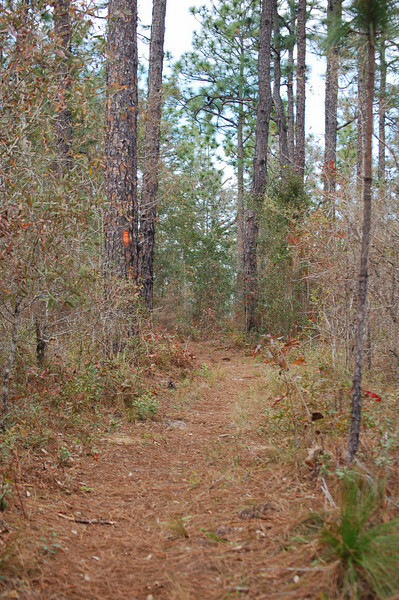 The Citrus Hiking Trail is located about 15 miles north of Brooksville and southwest of Inverness. There are four connected loop trails totaling about 47 miles. The main hiking trails are marked with an orange blaze. The side trails and crossover trails are marked with a blue blaze. We share this area with horse riders and their trails which have a single or double painted band twelve inches high which goes all the way around the tree. The hiking trails are closed to horses, but hikers are permitted to use the horse trails.